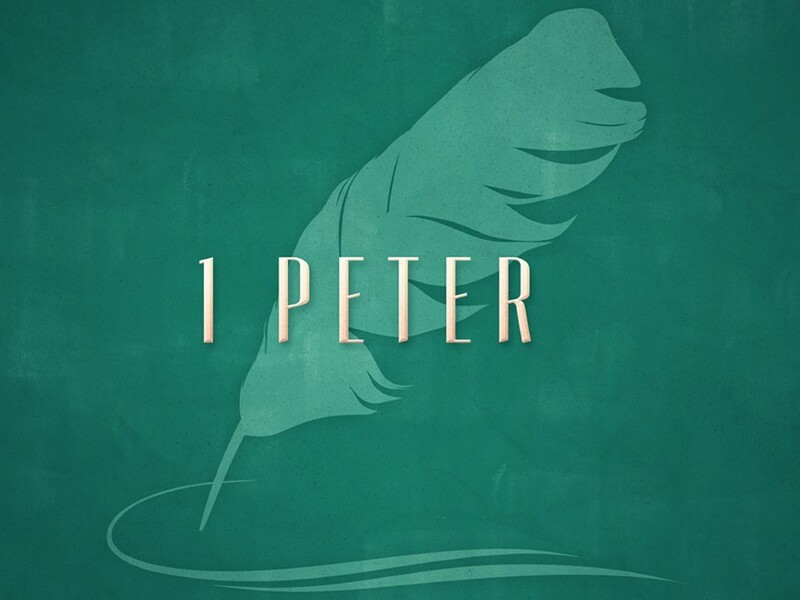 ← 1 Peter Part 6 – Sermon Notes – Who am I? Last week, we spent our time in this same passage, and we saw how Believers are not to be thrown by being prized by God while at the very same time being rejected by the culture. This idea was presented in terms of Jesus being God’s “Cornerstone” the foundation of all God is doing. Then Peter notes that Believers share in that experience. He is saying that the outward negative experience, is actually an HONOR when understood in the context of sharing in Christ’s experience. We are: Members of a new race. And Citizens of a new Kingdom. This idea of the Priesthood of the Believer. What exactly might that mean? That’s what we want to explore a bit this morning. First, by taking a look at God’s appointed priesthood in the OT, and then seeing how that might apply to the Believer in the NC. Ordinarily, when people think of Priests, they think of vocational clergy. Certainly that is the case with Roman Catholicism and many other religions as well. For us it comes as a surprise that Peter would use that term in talking about ordinary believers. Yet that is the term Peter uses. To Peter’s Jewish readers, this would evoke images from their own heritage, where within the greater Israelite nation, God chose one tribe out of the 12 to serve Him as Priests – The Levites. In Ex. 28, we see the appointment of Aaron, who was of the Tribe of Levi, and his sons, set apart by God to serve Him as “priests”. the text reads: “Exodus 32:26 then Moses stood in the gate of the camp and said, “Who is on the Lord’s side? Come to me.” And all the sons of Levi gathered around him. Later, when God is giving instructions on organizing the nation – something He has not done with any other nation on the earth – we read: Numbers 1:1–4 The Lord spoke to Moses in the wilderness…2 “Take a census of all the congregation of the people of Israel, by clans, by fathers’ houses, according to the number of names, every male, head by head. 3 From twenty years old and upward, all in Israel who are able to go to war, you and Aaron shall list them, company by company. 4 And there shall be with you a man from each tribe, each man being the head of the house of his fathers. Numbers 1:47–51 But the Levites were not listed along with them by their ancestral tribe. 48 For the Lord spoke to Moses, saying, 49 “Only the tribe of Levi you shall not list, and you shall not take a census of them among the people of Israel. 50 But appoint the Levites over the tabernacle of the testimony, and over all its furnishings, and over all that belongs to it. They are to carry the tabernacle and all its furnishings, and they shall take care of it and shall camp around the tabernacle. 51 When the tabernacle is to set out, the Levites shall take it down, and when the tabernacle is to be pitched, the Levites shall set it up. And if any outsider comes near, he shall be put to death. So they became the guardians of God’s proscribed worship and the articles that made Him known as the God He is. The Temple, its furniture and implements and rites and rituals. Along with this guardianship came the privilege of entering into God’s presence, and especially of offering up prayer on behalf of the nation. No one else was allowed to enter the Tabernacle in the Holy Place, where God manifested His presence behind a veil, over the Mercy Seat or cover of the Ark of the Covenant. But twice a day, a Priest and only a Priest was to go to the altar of incense that sat right in front of the veil – and offer up incense as a picture of prayer going into God’s presence. Deuteronomy 33:10 tells us that the Priests were responsible for teaching the people the precepts and promises of God. To make His Word known to them accurately so that as a people they might serve God well. Along with this function, the Priests were entrusted with the Urim and Thummim, two stones which were part of the High Priest’s special garb, whereby they might inquire of God concerning His will in matters of national importance in specific situations. Just how this worked is a mystery lost to us, and in fact the Urim and Thummim were lost to Israel in the Babylonian captivity – never to be seen again. [[SLIDE]] 4. Lastly, the Priests were to officiate at the sacrifices which God appointed as central to Israel’s worship. These are the 4 key areas God’s appointed priests in Israel were to set in place to perpetuate and administrate as God’s ordained priesthood. And as I said, it would be the most natural connection for Peter’s first readers to have these ideas in mind when reading the portion we have before us today. Additionally, and a point Peter’s readers could not have missed in this context, is how God also ordained that the Priesthood would have no physical or earthly inheritance like the rest of the Jewish nation. This would have rung in their ears as they are now a dispossessed and transplanted people. Truly without any national or physical inheritance. And as Priests – if indeed ALL of God’s children are priests, would mean these circumstances are in fact to be expected! God’s people are not to look at this life and its blessings, as our inheritance. We have something much greater before us. They would also see that while God ordained a priesthood in Israel – that special class had undergone a tremendous transformation now that Christ as the Great and final High Priest had come. For God had in fact prophesied to them that one day His entire PEOPLE would be a priesthood. And this is exactly what Peter is saying has finally come to pass. Not only does Peter pick up on this idea, but the writer to the Hebrews does in Heb. 13:15, and the Apostle John appeals to it no less than 3 times. Now that the Messiah has come, and fulfilled all the types and shadows of the Mosaic era, it is the Believing people called Christians who are this new nation of priests unto God. This is Peter’s point for his readers: This idea of being a PRIESTHOOD is central to a lifestyle that refuses to be driven by the passions of the flesh – for the passions of the flesh war against the soul – and make it impossible to carry out our priesthood! What does the Believer’s Priesthood look like? What do the passions of the flesh have to do with it? Taking the 4 general areas we saw above with the Levitical Priesthood, it isn’t hard to draw a line to what that might look like to us, especially when Peter Himself makes one of the chief connections for us. As with the Jewish Priesthood, NC Believers are to be those who administrate the sacrifices of God. And since the blood sacrifices have all been concluded in Jesus’ sacrifice on the Cross –what is left to us? Our bodies – our actions to further His kingdom. Instruction. To know God’s will and Word ourselves, and to make it known to others. This is a primary ministry of the Church. As Priests, all of us are to study it. Some of us are gifted to teach it or preach it publicly. All of us are to provide the means whereby it is proclaimed publicly – supporting the platforms for it. Local Churches, missions, publishing, evangelism efforts, etc. To be guardians of the Church of God and to preserve the true worship of God in our generation. Guardians of what the Church is, and who is part and who is not. This is why at least in part, we hold to a concept of Church membership even in the local assembly. For every Christian in his or her priestly duty is to labor to preserve the identity of the Church as God’s called out people and to identify with them as such. Join themselves to them and identify as one of them. This applies to Baptism as a public profession, and to church membership in being joined with other Christians to further the Gospel, display the Kingdom, grow in grace and preserve the public and Biblical worship of God in society. Some do not think that Church membership per se is COMMANDED, but it most certainly is implied when we see how God structures His church, and calls us to that one racial identity, one citizenship and then the one singular priesthood. Taking responsibility for sustaining and building up the representation of God’s Church wherever it is found. To be part of a gathering of God’s Priesthood to learn together, labor together in the Gospel, build one another up in grace and pray for each another. It is why intentional relationships in Christ are so important. Is anyone close enough to you to be really involved in your spiritual growth? This is part of the priestly privilege. EZRA 4:1-3 – Not everybody who says they belong – do! And the extraordinary ministry of prayer. And in this – NO priest is without opportunity. You may be precluded from every other priestly task, but all of us can pray. It is not a millstone, but an unworldly honor bestowed upon the Priests of the Living God. The warning then in this passage – if we take it as a whole is this – back in vs. 1 we were told: 1 Peter 2:1 So put away all malice and all deceit and hypocrisy and envy and all slander. Because we cannot, we CANNOT fulfill the role of priests in the areas mentioned, while at the same time being filled with malice, deceit, hypocrisy, envy and slander. They are antithetical to one another. Matthew Henry writes: The grand mischief that sin does to man is this, it wars against the soul; it destroys the moral liberty of the soul; it weakens and debilitates the soul by impairing its faculties; it robs the soul of its comfort and peace; it debases and destroys the dignity of the soul, hinders its present prosperity, and plunges it into everlasting misery. Of all sorts of sin, none are more injurious to the soul than fleshly lusts. Carnal appetites, lewdness, and sensuality, are most odious to God, and destructive to man’s soul. It is a sore judgment to be given up to them. In addition, when one is fostering sin in their lives, secret or otherwise, they dull their own ability to hear and know God’s will and Word. You won’t pray, especially for others, because guilt will either keep you away from prayer, or dominate your prayers. Sin wages a continuing battle against a heart and mind set on holy things. In closing he says to keep our behavior honorable – commensurate with the honor of our Priesthood among the heathen – so that in the day when Christ reveals all – He may be glorified in what we’ve done. It may never be recognized by any now – but one day it will. 1 Peter 2:9 Overall – that grand point is this: Believer – you have been ordained into God’s Priesthood in this present world. It is a high and holy privilege. And as we assume the role that is assigned us in offering up such spiritual sacrifices; establishing, building up and protecting God’s Church in the world; Absorbing and proclaiming God’s truth in the world; and engaged in prayer – entering freely into the very throne room of God to plead for one another – then let us throw off anything and everything that might hinder us in these pursuits. Let’s get rid of everything that doesn’t fit with our role as God’s ordained priests. Let us serve Him in the joy and knowledge of our privileges. Oh what extraordinary privileges belong to those who are God’s own Children in Christ Jesus! Peter is not laying some burden on the backs of his hearers, but reminding them of their high estate in Christ, though utterly scorned by the World. In this, they are, we are prepared to face the petty scorn of others. And to walk above it in the most humble and godly way. Henry, Matthew. 1994. Matthew Henry’s commentary on the whole Bible: complete and unabridged in one volume. Peabody: Hendrickson.